Why Can’t Ethiopia Become Like Ghana? 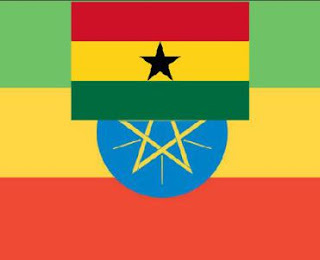 When Barack Obama made his first trip Africa, he did not choose to go Nigeria, the country with the largest population and largest economy.Why Can’t Ethiopia Become Like Ghana? He did not choose Nelson Mandela’s South Africa with the second largest economy on the continent. Obama did not choose Kenya, the birth place of his father. China is the worst jailer of journalists in the world. How true! Birds of a feather flock together. President Barack Obama chose Ghana, a country with a population of only 27 million, for his first presidential trip to Africa. Obama traveled to Ghana to pay homage to Ghanaian democracy. In retrospect, in my view, if Obama never set foot in Africa as President of the United States, it would have been too soon. I used to be Obama’s fan but after I heard him proclaim the thugmocrats in Ethiopia as 24-carat democrats in July 2015, I became nauseous and damn near threw up. Just for perspective, when the senile Zimbabwean dictator Robert Mugabe claimed to have won his election in 2013 by 61 percent, Obama condemned him for stealing the election. When the Thugtartorship of the Tigrean People’s Liberation Front (T-TPLF) claimed to have “won” its elektion in May 2015 by 100 percent (one hundred), Obama said the T-TPLF won a “democratic” election. “The only thing worse than a liar is a liar that’s also a hypocrite!”, said Tennesse Williams, the great American playwright. The perfect description of Obama! Obama’s first visit to Ghana is the first but least important reason why I am envious of the Ghanaians. I am not going to pretend that I didn’t mind Obama visiting Ghana first. I wish Ethiopia had been Obama’s first destination as president. I believe Ethiopia is the pride of Africa. Ethiopia has never been colonized. Ethiopia is the only African country that defeated an invading European colonial army in the battlefield. The might Italian army tried to colonize Ethiopia in 1896, a year after the Berlin Conference where the imperial powers of Europe carved up Africa and “legalized” their possession of African territories and peoples. Ethiopian Emperor Menelik II diplomatically outwitted, maneuvered and militarily whipped and routed the Italians at the Battle of Adwa and sent them back to Rome packing. The Italians did not learn their lesson well and returned in 1935 and occupied Ethiopia. Six years later, they were whipped again and sent back to Rome. Such was Ethiopia over a century ago. Truly, the land of the free and home of the brave! Today Ethiopia has become land of beggar-leaders! Ethiopians have lost their honor and dignity gained through the blood, sweat and tears of their forefathers. Today Ethiopia’s children stand by and watch as Ethiopia is drawn and quartered by thugs. Regardless, I insist Ethiopia is still the beacon light of Africa. In 1963, the Organization for African Unity (OAU) was established with a permanent headquarters in Addis Ababa. The man singularly responsible for the incredible feat is H.I.M. Haile Selassie. H.I.M. Haile Selassie was elected “Father of African Unity” by his peers at the 1972 Ninth Heads of States and Governments meeting of the Organization of African Unity. Three decades later, Ethiopia got the “godfather of Africa”. His name was not Don Vito Corleone. In July 2009, Obama visited Ghana and proclaimed to all Africans the advent of democracy and human rights. The “government” Obama is talking about is the T-TPLF which “won” the election in May 2015 by 100% (one hundred percent). In other words, the T-TPLF stole the election to stay in power, now approaching a quarter of a century. Obama forgot what he said in Ghana in July 2009. Some well-informed and reasonable people wondered if Obama must have been smoking something (having a “bum trip”) when he declared an election “won” by 100% by a single party competing against some 90 other parties is “democratic”. I wouldn’t know. I don’t smoke! Following Obama’s Accra speech in July 2009, I wrote a commentary entitled, “What Is It the Ghanaians Got, We Ain’t Got?”. It was a commentary that sought to probe the success of Ghana as a democracy and why Ethiopia has became a failed state. In 2009, Ethiopia was #16 on the Failed States Index. In 2009, Ghana was nowhere on the top “60 Failed States Index”. I started probing Ghanaian political history. Ghana’s first president, Kwame Nkruma, was a great anti-colonial leader and Pan-Africanist. Nkrumah led Ghana to independence in 1957. He was the second most important leader in the founding of the Organization of African Unity. But Nkrumah had a fatal flaw. In 1966, Nkrumah was overthrown in a military coup while on a visit to China. Nkrumah’s bitter legacy to Africa became the twin diseases of “president-for-life and military coups”, which became as rampant as malaria and tuberculosis in Africa after 1966. Now to my second reason for envying Ghana. In 1979, a young Ghanaian Air Force officer named Jerry John Rawlings became president in a violent coup. Rawlings did his “house cleaning” after the coup executing alleged corrupt high level military officials. Rawlings handed over power to civilians only to take it back in 1981 in another coup, becoming Chairman of the Provisional National Defence Council (PNDC). When Rawlings took power in 1981, he became a military dictator. He abolished the constitution, dissolved the parliament and outlawed opposition parties. Throughout the 1980s, Ghana’s economy was in chaos with mounting debt, low foreign exchanges, currency devaluation and lack of consumer goods. Rawlings’s government came under increasing domestic and international pressure in the late 1980s. In early 1990, Rawlings’ regime and Ghana’s economy were teetering on collapse. Rawlings cracked down on the press, opposition elements and critics of his regime. The neo-liberal titans, the International Monetary Fund, the World Bank and other donor countries were circling over Ghana like hungry vultures. They told Rawlings they will bail him out, but he must swallow their golden pill of structural adjustment and “liberalize” and democratize”. Civil society groups in Ghana were also clamoring for reform and democratization. Rawlings did not particularly care for multi-party democracy, but he sensed the people of Ghana were ready for democratic governance. Rawlings was a dictator but he was a smart dictator. Rawlings and his PNDC did the unthinkable, the unimaginable for Africa. Rawlings and his PNDC decided to end their dictatorial rule in an orderly fashion! He turned in his military uniform for a civilian suit. African dictators peacefully transitioning themselves out of power? Simply, unheard of in Africa before or since Rawlings’ extraordinary act. The measures Rawlings took to bring about multiparty democracy and the rule of constitutional law in Ghana ending his dictatorship were simply breathtaking. Rawlings and the PNDC undertook swift actions to transition Ghana from dictatorship to democracy. They set up a commission to poll citizens on their views about the democratic future of the country. In May 1991, they set up a committee of constitutional experts to prepare ideas for a draft constitution. In August 1991, they set up a 260-member Consultative Assembly to draft a constitution. In March 1992, the Consultative Assembly completed its work and an interim electoral commission was established. In April 1992, a referendum was held on the draft constitution gaining the approval of 93 percent of eligible voters. In May 1992, Rawlings lifted the ban on party politics and passed a law governing the formation of political parties. Presidential and parliamentary elections were scheduled to be held by the end of 1992. Rawlings resigned from the Armed Forces and founded his National Democratic Congress. Rawlings won the first election on November 3, 1992 and became the first civilian president of the Fourth Republic. Opposition parties moaned and groaned that Rawlings had stolen the election by rigging ballots. But there was substantial evidence that Rawlings had used his existing military structure and support organizations to win the election. Opposition parties were also not well organized and underfunded to put up a credible challenge to Rawlings’ party. Rawlings was re-elected in 1996 for four more years. Rawlings was termed-out in 2000. Amazingly, Rawlings did not try to change the Constitution to run for a third term as African dictators are doing just in the past few months. He accepted the judgment of the people and walked away from power. In 2000, John Kufuor of the New Patriotic Party won the election. Ghana is scheduled to have its general election in 2016. Rawlings and the PNDC managed to transition Ghana from a military dictatorship to a multiparty democracy. That is an earthshaking event in Africa. In office, Rawlings committed numerous human rights violations including extrajudicial killings. Last year, Rawlings admitted that some of the military officers he executed during the 1979 “house cleaning” “were innocent good people but it had to be done because the rage in the country was too high, too much”. Under Rawlings rule, there were arbitrary detentions, confiscation of property, disappearances, executions and torture. Despite his great shortcomings, there is no question that Jerry Rawlings is an extraordinary and passionate African leader (unlike the other buzzards who claim to be leaders today) who brooked no nonsense. Unlike other African dictators who go into exile once out of power, Rawlings still lives in Ghana. In May 2005, for the very first time in millennia, the seeds of democracy germinated in Ethiopia’s arid political landscape pockmarked by royal absolutism, military socialism, pluto-kleptocratic dictatorship and thugtatorship. The 2005 election gave birth to a stillborn democracy. The T-TPLF declared victory before the votes were fully counted and its late leader Meles Zenawi declared a state of emergency. In the wake of the elections, Meles and the T-TPLF made a killing field of Ethiopia. Nearly all of the leading opposition leaders and other civil society representatives and journalists were jailed by Meles and the T-TPLF, along with more than 30,000 ordinary citizens. In the 2008 local elections, opposition candidates won just 3 (three) of 3.6 million seats! In the 2010 elektion, the T-TPLF won 99.6 percent of the seats in “parliament”. Ethnicity and tribal allegiances are potent forces in Ghana and Ethiopia. Both countries are multi-ethnic societies with ethnic inequalities and historical rivalries. Ethnic tensions in Ghana are occasionally heightened by social and economic inequality. Although some Ghanaian politicians have resorted to ethnic appeals to garner votes, there have been very few instances of ethnic violence triggered by political party rivalries. In Ethiopia, ethnicity and tribal affiliation are the foundation and the lifeline of the T-TPLF. In other words, “states” shall be structured as homogeneous tribal homelands based on four criteria, in much the same way as the Bantustans of apartheid South Africa. As I have demonstrated in previous commentaries, the “kilils” could be more accurately described as “Killilistans” since the “kilils”, like the Bantustans, represent territory set aside for the purpose of concentrating members of designated ethnic/tribal groups in a nominally autonomous geographic area. The T-TPLF has used a completely fictitious theory of “ethnic (tribal) federalism)”, unknown in the annals of political science or political theory, to glorify these “Kililistans”, and to impose their atrocious policy of divide and rule on 80 million people for nearly a quarter of a century. Ghana has maintained friendly relations with its neighbors, and has followed a foreign policy that has contributed to regional cooperation, peacekeeping and tension reduction. As an active member of the Economic Community of West African States (ECOWAS), Ghana has been able to substantially increase its exports and serve regional markets. Ghana has also contributed troops for peacekeeping missions in Liberia and other African countries. The T-TPLF poured fuel on the volatile politics of the Horn by invading Somalia in January 2007, a country which has suffered greatly under the scourge of “warlordism” since the early 1990s. The T-TPLF justified their invasion as an “invitation” by the Somali transitional government, and as a defense of Ethiopian sovereignty. The T-TPLF boasted they will be out of Somalia in a couple of months after they drive out the “terrorists”. Two years later, they were chased out of Somalia with their tails between their legs leaving behind a colossal mess of death and destruction. The T-TPLF has been a regional scourge. The third reason why I am envious of the Ghanaians is their Constitution. The Constitution of Ghana is the supreme law of the Republic of Ghana. There is rule of law in Ghana. I can imagine T-TPLF leaders totally confounded. Rule of law? What that be? There is little doubt that Ghanaians enjoy a relatively high degree of political freedom; and the rule of law is largely respected by Ghanaian leaders. The 1992 Ghanaian Constitution guarantees a panoply of political civil, economic, social and cultural rights to citizens. Press freedom in Ghana best illustrates the liberties enjoyed by Ghanaians. In 2015, Ghana ranked 22 out of 173 countries on World Press Freedom Index (Ethiopia ranked 142/180). There are more than 150 private newspapers and 2 state-owned dailies in Ghana. There are some 110 FM radio stations broadcasting in all parts of the country. Foreign media operate freely and internet access is uncensored by the government. Citizens express their opinions without fear of government retaliation, and the media vociferously criticizes government policies and officials without censorship. The government of Ghana follows and respects the Constitution. It abides by the rulings and decisions of the courts and other fact-finding inquiry commissions. The government of Ghana has undertaken actions to conform its laws to the standards of international human rights conventions. An independent judiciary is vital to the observance of the rule of law and protection of civil liberties. Article 125 provides that the Ghanaian “Judiciary shall be independent and subject only to the Constitution.” Article 127(2) further provides that “neither the President nor the Parliament nor any person whatsoever shall interfere with judges and judicial officers or other persons exercising judicial power, in the exercise of their judicial functions”. All state organs are constitutionally required to comply with judicial orders. The Supreme Court of Ghana has judicial review powers. Ghana has a competitive multi-party political system. Article 55 of the Constitution guarantees “Every citizen of Ghana of voting age has the right to join a political party.” Political parties are free to organize and “disseminate information on political ideas, social and economic programmes of a national character.” There are some eight registered political parties, but the two dominant parties, the New Patriotic Party (NPP) and the National Democratic Congress (NDC) are said to represent an estimated 80 per cent of the Ghanaian voters. The Ghanaian Electoral Commission is the institution created in the Constitution to ensure Ghanaians’ right to self-government and clean elections. Under Article 46, the Commission is guaranteed independence: With certain exceptions, “the Electoral Commission shall not be subject to the direction or control of any person or authority…” The presidential run-off election in 2008 was managed by the Electoral Commission and is widely credited in Ghana and internationally for sustaining democracy, political pluralism and constitutional rule. Civil society institutions in Ghana are gradually emerging as vital social forces. Unions, international NGOs, professional media, legal, educational and research organizations and faith-based service groups and associations operate freely. Civil society institutions are becoming increasingly important in legal and legislative reforms and in playing vigorous advocacy roles for under-represented groups. Ghanaians have shown Africa’s tin pot dictators that multiparty democracy is not some fanciful Western ritual but a practical and effective system of governance. They have shown that a non-ethnic, non-tribal multiparty democracy is the only viable option that could guarantee stability, equity and economic development in Africa. That is the secret, the “X” factor, in Ghana’s success. By constitutionally requiring that political parties NOT be ethnic- or tribal-based, Ghanaians laid a solid foundation for a single Ghanaian nation under the rule of law. They succeeded in creating a multiparty democracy that has the capacity to overcome the petty politics of ethnicity and tribalism. Amazingly, along the way they managed to create a political culture that integrates their humanity into a framework of national unity to forge a single Ghanaian identity. Now you know why I am envious of our Ghanaian brothers and sisters!